Looking for a great meal in Las Vegas? Check out these restaurants you MUST eat at! From donuts to cupcakes, cocktails to burgers, this list of Las Vegas restaurants covers everything you’ll crave in the city that never sleeps. A few weeks ago I got to spend a few days in Las Vegas with a group of other food bloggers. 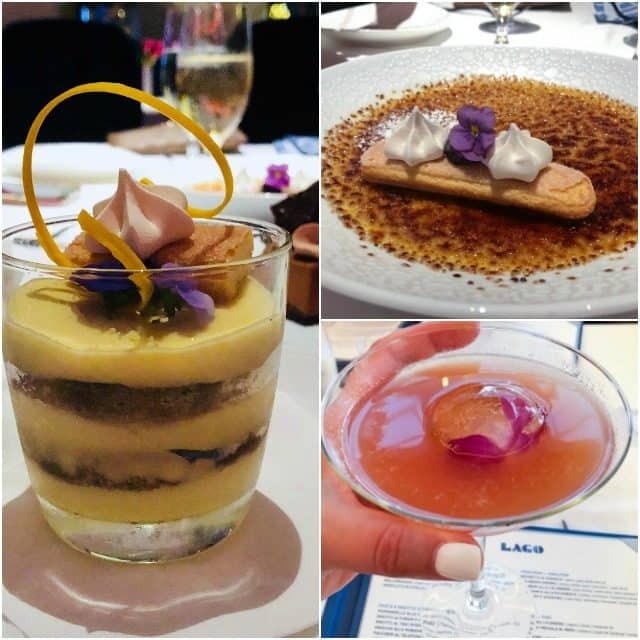 If you follow me on instagram, you may have followed along on our eating adventures, but in case you missed it, here is a list of the best places to eat in Las Vegas, from breakfast to dessert and everything in between. Looking for a place to stay while you’re eating Las Vegas? We stayed at Caesar’s Palace in it’s gorgeous Palace Tower rooms. The rooms are well appointed with comfortable beds and marble bathrooms and are the perfect size for when you’re staying and playing in Las Vegas. We enjoyed several amazing meals during the three days we were there. We ordered in a few meals for while we worked and the rest of the time we got to experience some of the best restaurants Las Vegas has to offer. Doughnuts are the first thing I look for when I’m staying in a new city. 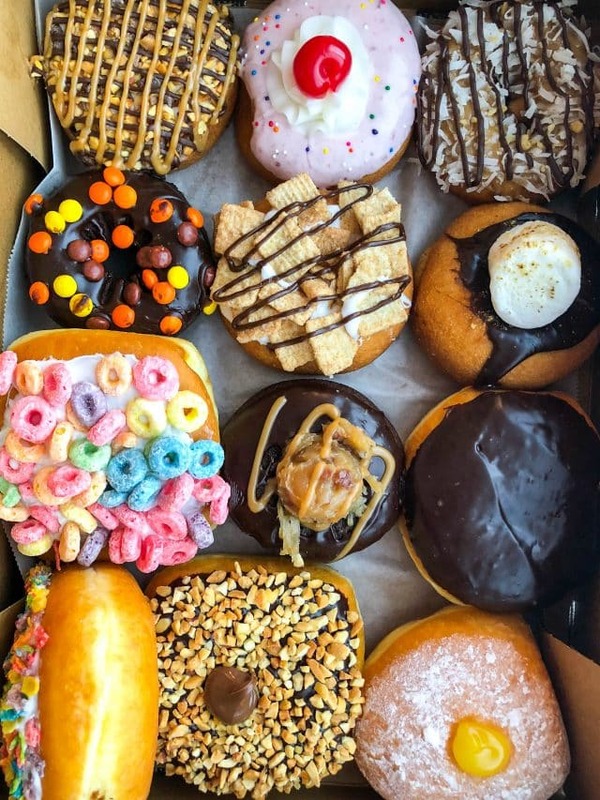 Since we wanted to order a bunch of choices in, I went with Crunch Donut Factory because Postmates will deliver them to your hotel. The doughnuts are delicious and have fun names like Snoop Doughg Donut or the Beyonce Doughles Lemonade Donut (which is that one in the bottom corner – it was everyone’s favorite). When in Vegas you MUST head to the gorgeous pools. Caesar’s Palace has several pools to enjoy and their cabanas are a great way to escape the intense heat. 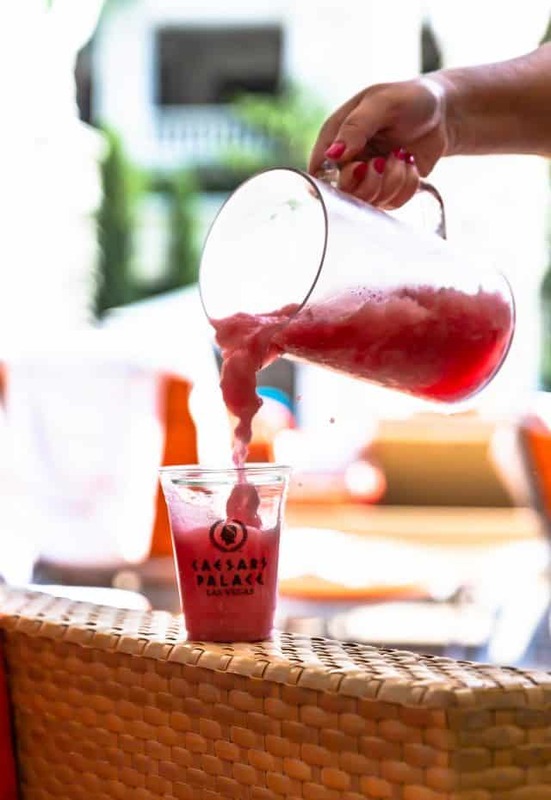 Order burgers and appetizers from the pool menu or do what we did: get a pitcher of Frosé! 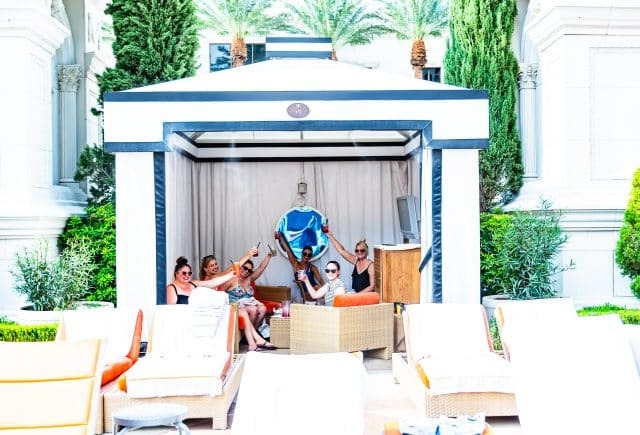 The cabanas at Caesars all have complimentary waters and sodas, plus a TV and a safe for poolside fun. Modeled after the TV show, I wasn’t sure what to expect when we arrived at Hell’s Kitchen for lunch, but I was almost immediately enthralled. I have to say: I had one of the best meals I’ve ever eaten at this restaurant. We were served his signature beef Wellington, which was so tender it didn’t even need a knife to cut it. This was followed by the Sticky Toffee Pudding and Pineapple Carpaccio, both of which were like heaven. This is definitely worth a stop on your food tour of Las Vegas. When I heard we were having dinner at the Rio I was excited: I got engaged there almost exactly 18 years before our dinner! The Rio is off-strip but worth a trip, even if you just go have a drink at the Voodoo Lounge. It’s 50 stories up and has magnificent views of Las Vegas. 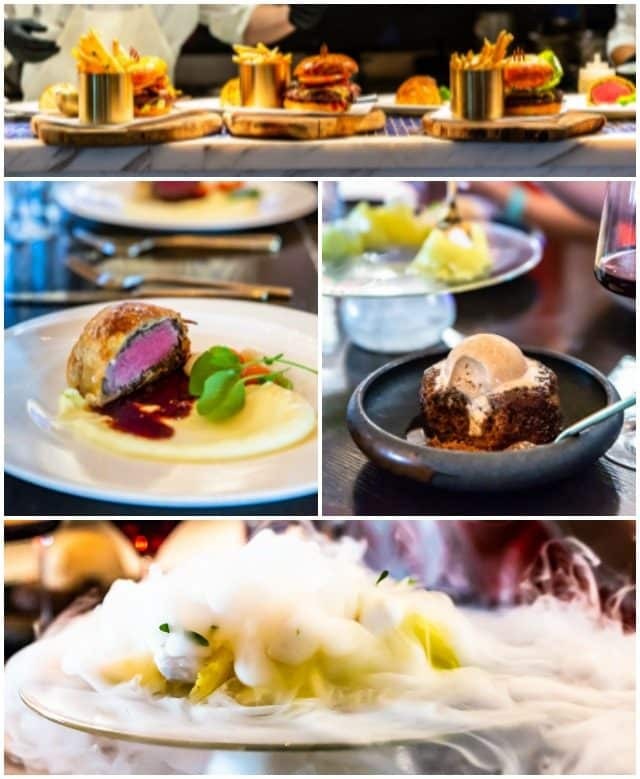 We were treated to the new Chef’s Tasting Menu, a 6-course meal including an appetizer, salad, seafood, and steak and the amazing dessert display you see above. 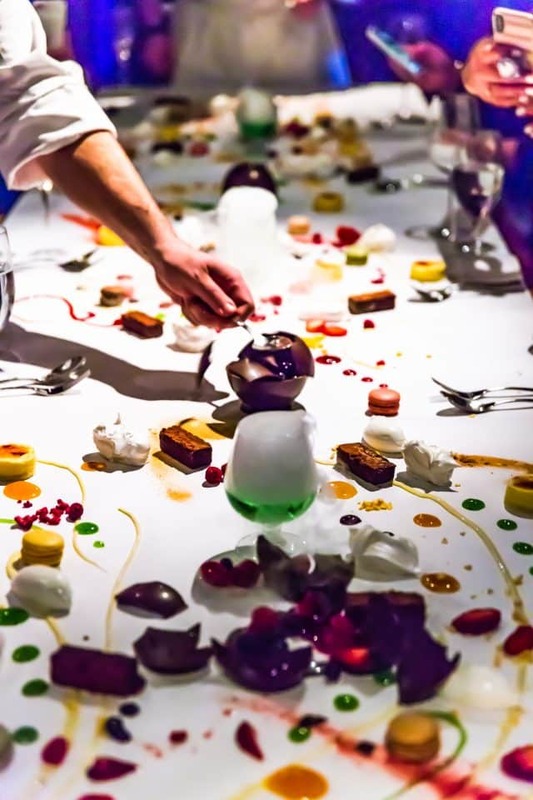 Called “The Spell” it’s a dessert show put on by the chefs: they cover the table in parchment paper and lay out bite sized macarons and brownies along with artistic flavorful sauces and dusts, like a work of art. The entire dessert took at least 30 minutes and it was a piece of magnificence. 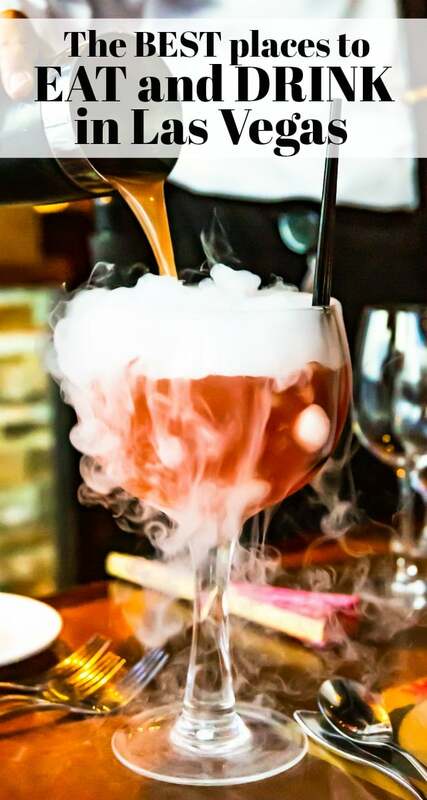 Voodoo Steak is also where we had their signature cocktail, The Witch Doctor dry ice cocktail. I made a copycat of this drink, which is basically Rum Punch. It was a stunning presentation and served about 3 people per cocktail. When Sin City Cupcakes realized we were coming to town, they offered to send us some of their boozy cupcakes and cake truffles. 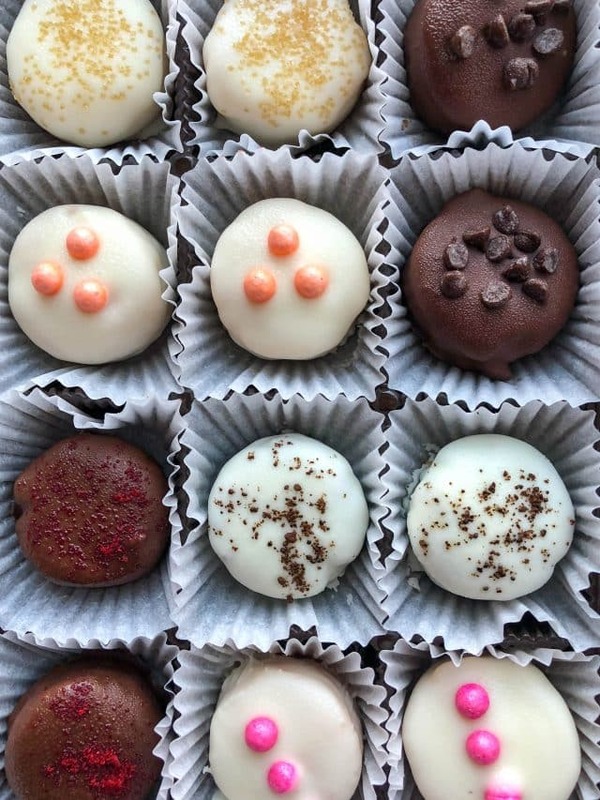 I absolutely LOVED their cake truffles – especially the champagne ones! They deliver! We wanted a fancy night out for dinner so we chose Lago at the Bellagio. 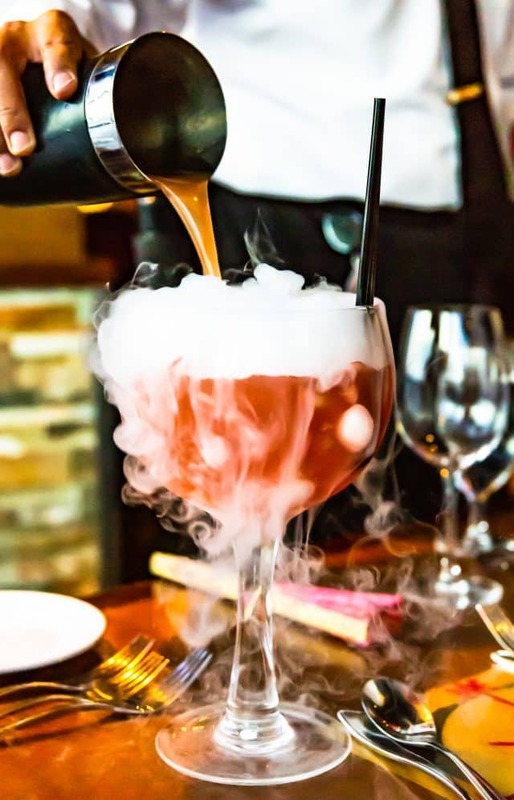 It overlooks the fountains and is a gorgeous restaurant from renowned chef Julian Serrano. I also chose it because it’s Italian inspired and because it’s all small plates: Italian Tapas, if you will. I knew that after lunch at Hell’s Kitchen we wouldn’t need a huge meal. We ordered two of everything for the 12 of us at the table. Everything was delicious, from the Burrata to the Gnocchi to the Tiramisu and Creme Brûlée for dessert. The signature cocktail was delicious too! The night we rode The High Roller (such a fun experience!) we wanted to eat close to the ride, so we chose to eat at Harrah’s. Toby Keith’s restaurant is there and it’s a fun country-style restaurant. The BBQ was good, the cocktails were huge, and the desserts were delicious. 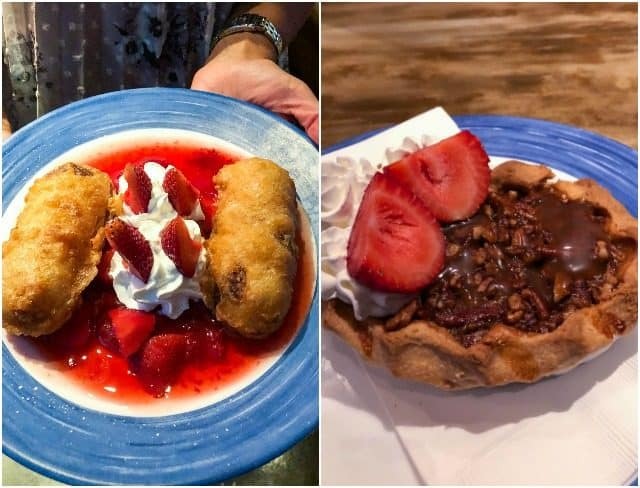 Pecan pie and fried Twinkies, what my dreams are made of. When you’re in Las Vegas, something to know is that cocktails are expensive. In fact, everything is expensive, even Starbucks! That’s why a few of the nights we decided to have cocktail hour in the room. By doing a little grocery shopping when you arrive in Las Vegas you can save yourself a ton of money. 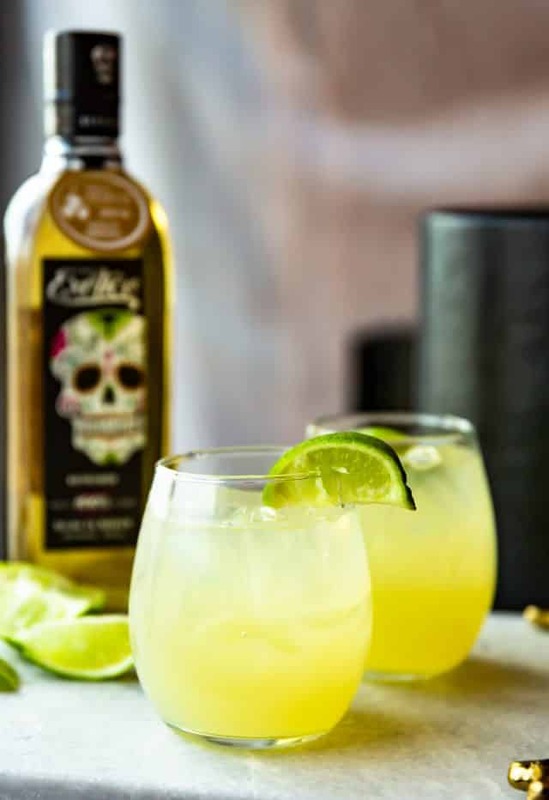 My new favorite tequila is Exotico – it’s so smooth and makes delicious margaritas. 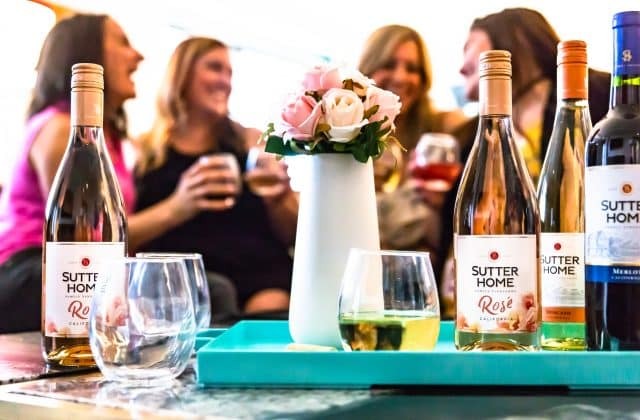 And if you’re looking to have a wine cocktail hour, I suggest Sutter Home wines. I have fallen in love with their Rosé! I want to thank all of our sponsors for the #VegasFoodieReteat: Caesar’s Palace, Exotico Tequila, Mediavine, Challenge Dairy, Sutter Home, and Goverre. YES! All of it was so amazing and delicious! I don’t think I’ve ever laughed or eaten so much! I had such a blast on this trip! The food was amazing. Thanks so much for inviting me to be a part- it was truly unforgettable! THE BEST TRIP! So grateful to all the amazing sponsors for making it so fantastic! I couldn’t eat any more if I tried! What an awesome food experience! Everything here is a must do in Vegas! What a great time. That dessert table was unbelievable!! Loved it! I have spend some days in Las Vegas it had an amazing experience of mine to be there. Delicious Food . Thanks for the post.